The magician explains that he made a prediction in the wallet. Then he introduces five ESP cards and have a spectator choose one from them. 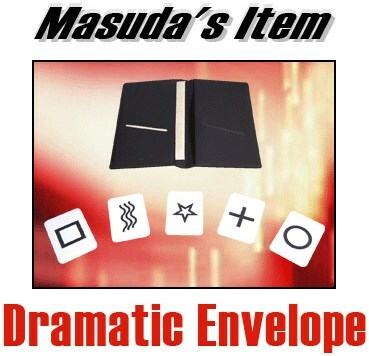 The performer takes out an envelope from the wallet and hand it to the volunteer. The prediction inside the envelope matches his selection.